After concluding all the Tekios that are blown after Musaf one may not blow the Shofar any longer if there is no reason to do so. Practicing how to blow: It is forbidden for one who will be blowing the Shofar on the 2nd day of R”H to practice how to blow it on the 1st day. Children: It is permitted for one to tell children to blow the Shofar on Rosh Hashanah for the sake of practice. This applies to all children whether they are above or below the age of Chinuch. It is permitted for children to blow throughout the entire day even after they heard Shofar in Shul [and hence already fulfilled the Mitzvah]. May a man blow Shofar for women? It is permitted for a man to blow Shofar for women even if he has already fulfilled his obligation. On Rosh Hashanah one is only allowed to blow the Shofar in order to fulfill the Mitzvah or for practice for that day. It is forbidden to blow it casually or for practice for the next day. It is however permitted for children to practice blowing the Shofar on Rosh Hashanah even for no need at all. If one is unsure if he fulfilled his obligation, or desires to fulfill his obligation according to all opinions, may he blow the Shofar after the Davening in Shul? 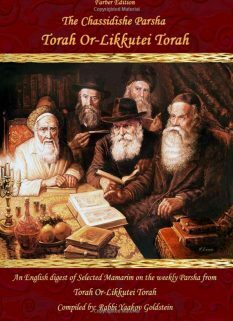 If one is Davening without a Minyan may he to blow 100 sounds as is the normal custom when Davening with a Minyan? Does the Shofar become Muktzah after one completes the Mitzvah of blowing? No. The Shofar is fit to be used throughout the day, such as for children to practice, or for blowing for someone who did not yet hear the sounds and hence it is not Muktzah. May one blow the Shofar on behalf of children above the age of Chinuch if he already fulfilled his obligation? Yes. Nevertheless the child is to say the blessing and not the Baal Tokeia. Girls: The above allowance applies even to girls that have reached the age of Chinuch. However some are stringent in such a case. May one blow the Shofar on behalf of children below the age of Chinuch? It is implied from the Poskim that it is forbidden to do so unless the child is learning how to blow in the process. Practically this matter requires further analysis. On Mivtzaim may one blow Shofar on behalf of a small child on the behest of the child’s mother or father? Based on the above one must beware from blowing Shofar for a child below the age of Chinuch if there is no one else also fulfilling their obligation. One may however have another child blow the Shofar on their behalf. May one teach a child on R”H how to blow the correct sounds? May one practice blowing Shofar for the sake of blowing that day? However it is forbidden to blow Shofar on their behalf once they have already fulfilled their Mitzvah, unless one is doing so in order to teach them how to blow. See Q&A! 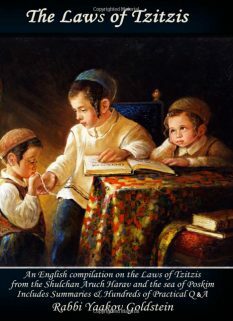 If the child does not know how to say the blessing: The P”M ibid writes that the adult may say the blessing on behalf of the child since he is obligated in Mitzvos, however he concludes with a Tzaruch Iyun. The Piskeiy Teshuvos 589/2 writes based on this that the adult is not to say the blessing. Chanoch Lanaar 22/7 based on the Poskim that rule one may not blow for women if he already fulfilled his obligation. Hence by a child one is to be stringent. As perhaps it is only permitted to tell the child to blow and not to blow the Shofar for the child [as is inferred from the wording of Admur ibid “It is permitted to tell the child”]. 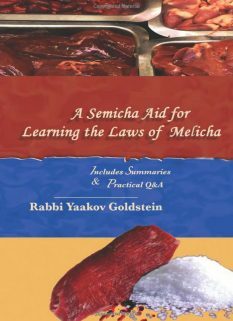 The reason is because there is a Mitzvah of Chinuch involved in teaching the child how to physically blow the Shofar, even if he is below Chinuch. However to blow for a child below Chinuch there is no purpose at all as what does he learn from it. 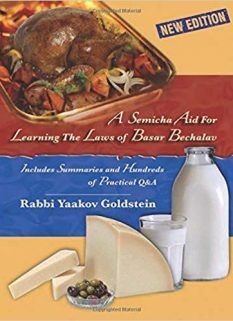 The difference between a child below Chinuch and a woman is that a woman intends to do the Mitzvah [as all Mitzvas that are Zman Grama in which they receive reward] however a child below Chinuch does not perform a Mitzvah at all. This is also clearly implied from the source of the ruling of Admur ibid which is [the Rama ibid who took it from] the Maggid Mishnah [Rambam Shofar 2/7]. The Maggid Mishneh writes that Rashi states “One may practice with them, not that the Gadol may blow etc from here we learn that a Gadol cannot blow Shofar for no reason once he fulfilled his Mitzvah.” Thus the entire source for forbidding blowing for no reason is from this allowance to educate children how to blow, and on this the Maggid Mishneh says explicitly “however not the Gadol”. [Vetzrauch Iyun on the source of the Maggid Mishneh in Rashi as I have not found it in any Rashi, neither in R”H 32b; Erechin 2b or Eiruvin 96b; and so writes the Lechem Yehuda Hilchos Shofar that he has not found the source of these words of Rashi] Vetzaruch Iyun! 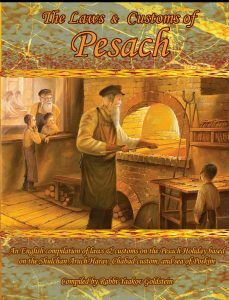 From what age may a boy/Bochur blow Shofar for others on Rosh Hashanah? 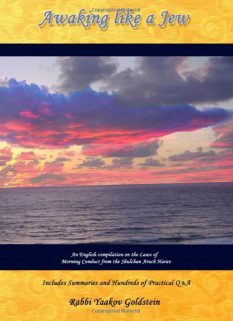 May one eat on Rosh Hashanah prior to hearing Shofar?